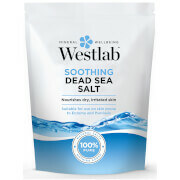 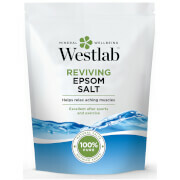 Unwind after a busy day with Westlab's Relaxing Dead Sea Salt Bath Fizzer; a soothing bath bomb packed with minerals and essential oils to comfort the skin and senses. 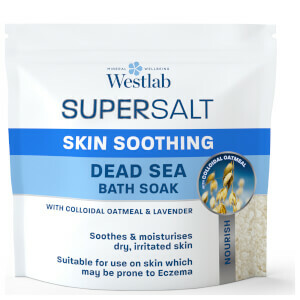 Combining Dead Sea Salt with a relaxing White Tea and Lavender fragrance, you can experience a rejuvenating and restorative soak. 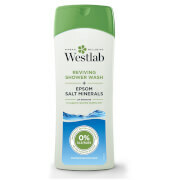 Sodium Bicarbonate, Citric Acid, Maris Sal (Dead Sea Salt), Prunus Amygdalus Dulcis (Almond) Oil, Aqua, Parfum, Lavandula Angustifolia (Lavender) Herb Oil, Anthemis Nobilis (Chamomile) Flower Oil, CI 28440, Linalool* *Naturally occurring in the essential oils.